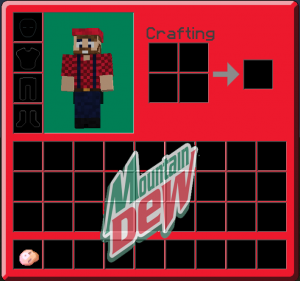 The Mountain Dew texture pack was my first real texture pack and it’s based of the soda called Mountain Dew. I used the 64×64 faithfull pack as a template. The swords looks like the normal 64×64 swords but with a Mountain Dew can on top. 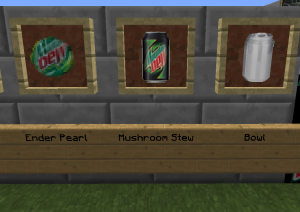 The only PvP item’s that are changed is Ender Pearl, Mushroom Stew and Bowl. 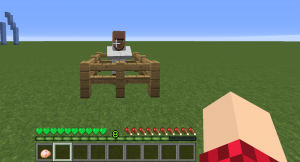 The only blocks changed is TnT, Emerald Block and Emerald Ore. The only normal item changed is the Emerald. The reason why I changed this was so that you could build a Mountain Dew vending machine and pay with money. Some of the paintings are changed. Notice the two ones at the left (used to make a vending machine). 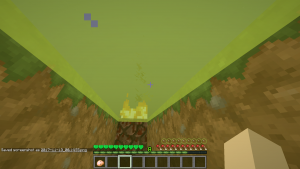 The hearts are now green. 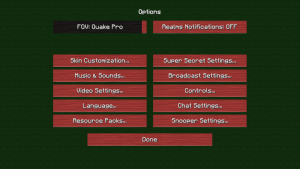 All the GUI’s looks like this. Options screen is just different colors of wool. 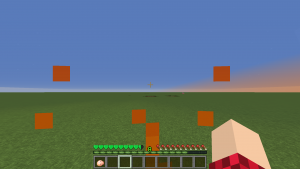 The fire is some type of low fire, I call it “medium fire” and the reason is that when I’m using low fire I sometimes don’t notice when I’m on fire so this pack makes it clear that you are on fire but also alerts you very clearly. Sharpness particles looks like the Mountain Dew logo. Everything that has anything to do with water is Mountain Dew colored. 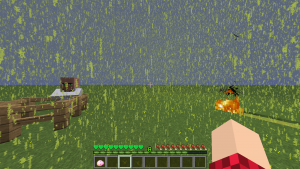 The particles, the water bucket and all of the effects aswell. *Why change Pig to Fernando? At the time of making this pack, I was a huge fan of BadBoyHalo also known as thesaintsofgames. 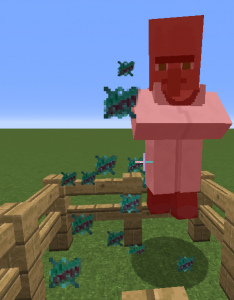 BadBoyHalo used to call all of the pigs “Fernandos”.